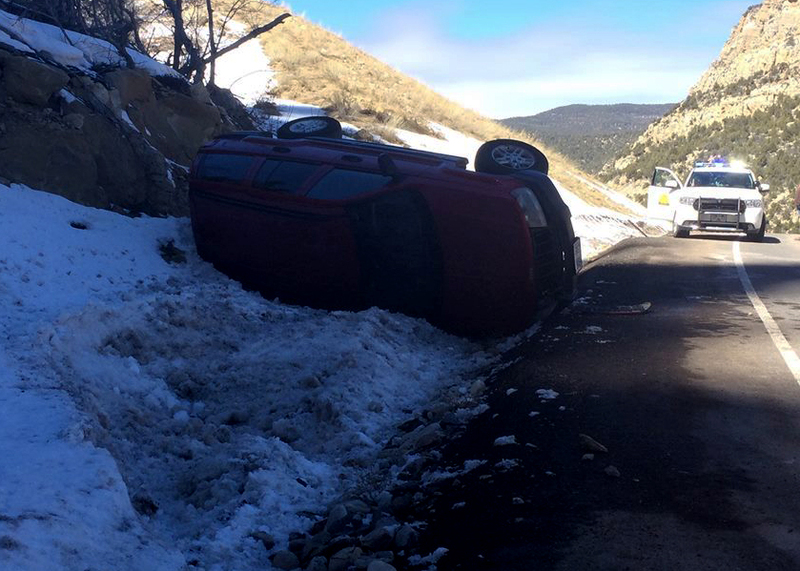 CEDAR CITY — A Las Vegas man visiting Cedar City flipped his 2004 Jeep Cherokee on State Route 14 near milepost 8 Wednesday at approximately 12:00 p.m. on his way back to town from a morning excursion. The driver was heading west around the last bend of a curvy section on SR-14 when he encountered an unmelted patch of ice on the edge of the road; the location has a sheer drop off to the north and a mountain wall to the south. 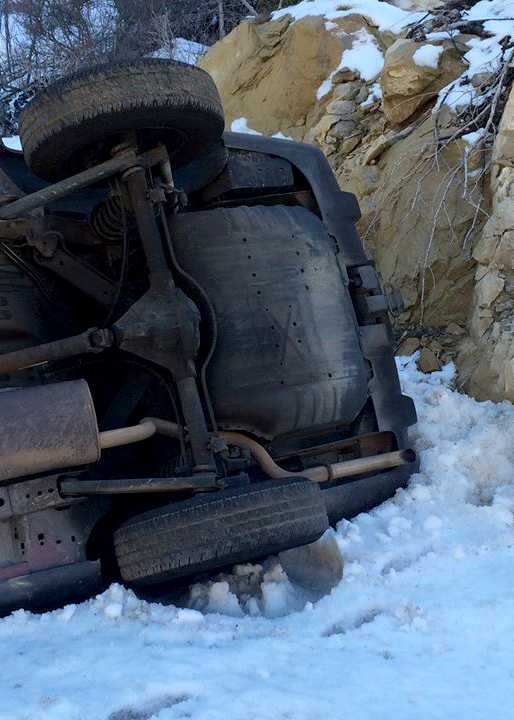 When the Jeep lost control, it flipped onto its passenger side, landed on the opposite side of the road and slid for about 10 feet through the snow before the terrain stopped its momentum. When the vehicle came to a stop, it was facing in the opposite direction it had been traveling in. The Las Vegas man was traveling alone, Baie said. 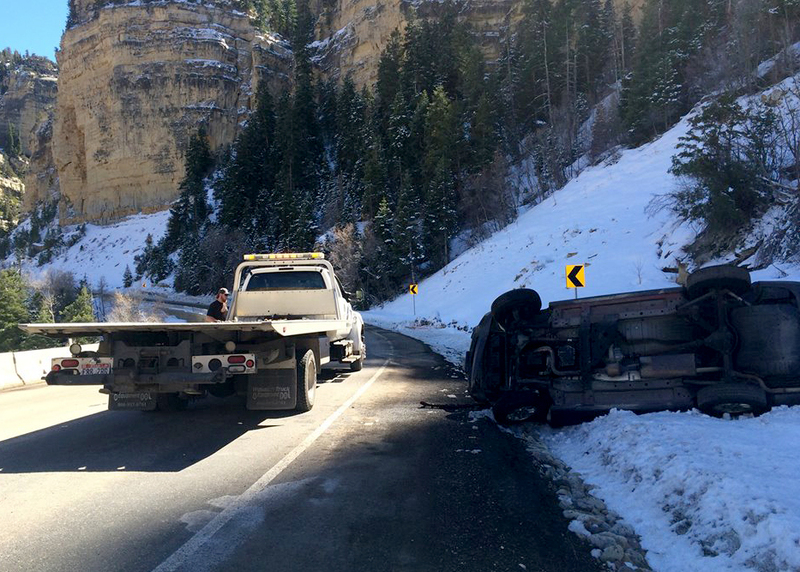 Iron County Sheriff’s Office assisted at the scene by directing traffic while the Jeep was loaded onto the flatbed tow truck. 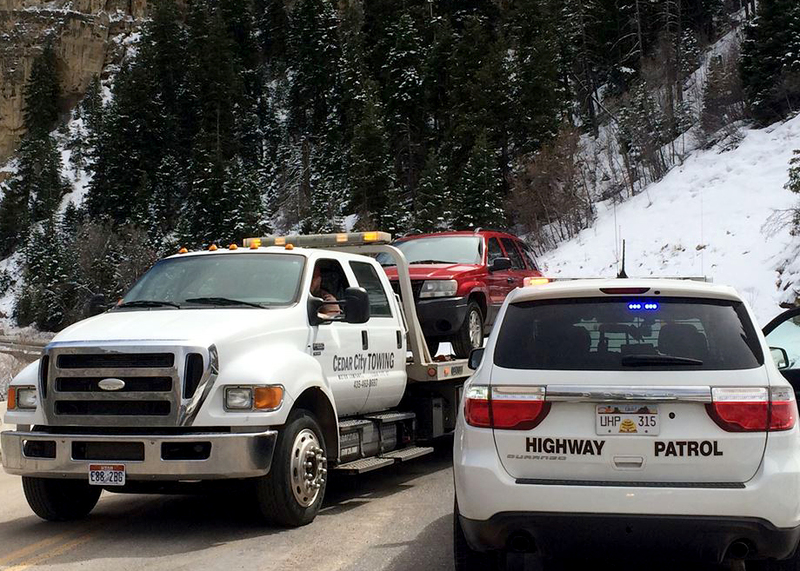 Eastbound traffic on SR-14 was only stopped for about five minutes around 12:30 p.m.
Utah Department of Transportation showed up just before the scene was cleared to manage the ice buildup with a layer of sand for traction.